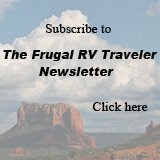 Does anyone have any experience with Go RV Warranty? We're thinking of purchasing the extended warranty through them for our Open Range 5th Wheel. DO NOT BUY from this company. They are a poor excuse for professionals. If you would like my true feelings reguarding these scumbags, call me at 480 213 4830. We have this warranty and are very happy with it. We did purchase thru Go Rv but they are not in business anymore. The administrators are based in Dublin, OH and say they can't write the policy only administer them. We want to renew this policy when it expires in June but can't find a dealer. Can anyone help us? Just want to add that I trust Bud's advice. He's been RVing for a long time, has contributed many pieces of excellent advice to my web site and, if he has had negative experiences with Go RV Warranty, I'd certainly heed his warning. 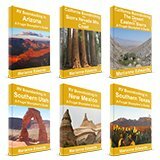 A quick Google search brings up loads of bad reviews from other RVers about this company as well. The last I saw were added in 2012 so, perhaps, they're not even in business anymore. We bought an extended warranty from this company and have had bad experiences with two different claims. My advise to you is shop around and find a company that will work for you, not against you like Go RV does. Extended Warranties Are They Worth IT! I wrote an article in my blog about extended warranties. I also included case histories. Here is an excerpt and a link to the story. As the Title Says Extended Warranties, Are they worth it. Well that depends on a lot of factors. What follows is a few case histories of my own personal experience with them and why I will probably never buy another Extended Warranty. I would have been lots of money ahead if I would have put the money for the cost of the warranty in the bank. I will let you be the judge. Good Sam has a good extended warranty program. We have used it for several years. Have used it several times without problems. We have a trailer and it is quite affordable. I too am considering purchasing an extended warranty from this same company. My wife and I would like some feed back from people who have used this company. Hope we both hear from those who have it or have had it in the past.